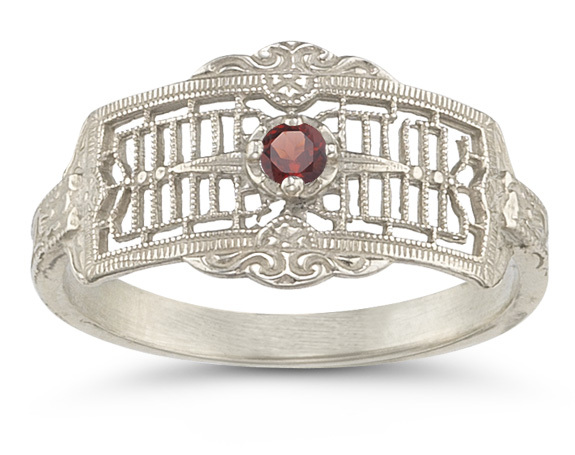 Our vintage garnet filigree band is reminiscent of the Victorian era.. Band measures 7.2mm wide at top. Widest point at center of band: 10mm wide. Side of Band measures: 2mm at narrowest point. 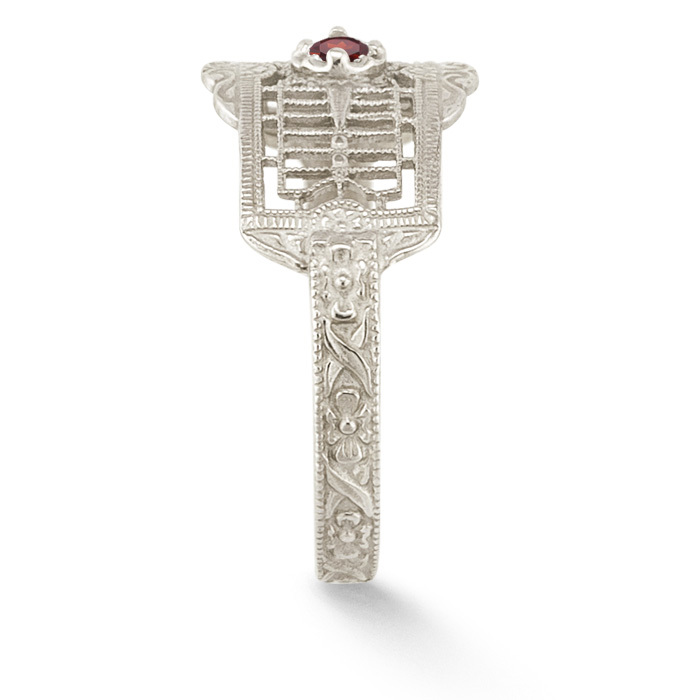 We guarantee our Vintage Filigree Garnet Ring in 14K White Gold to be high quality, authentic jewelry, as described above.